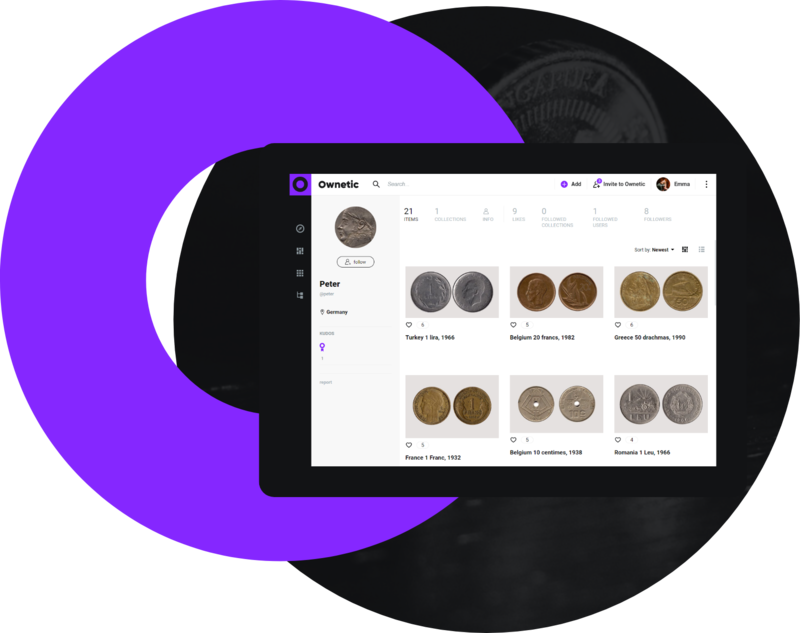 Ownetic enables coin collectors and numismatics enthusiasts to organize owned objects, present them to the world and network with like-minded people. Tell fellow collectors about yourself. Let others to get to know you and your passion. Develop a contact section and let people find you. Get a customizable link to your profile and share it as your official page. 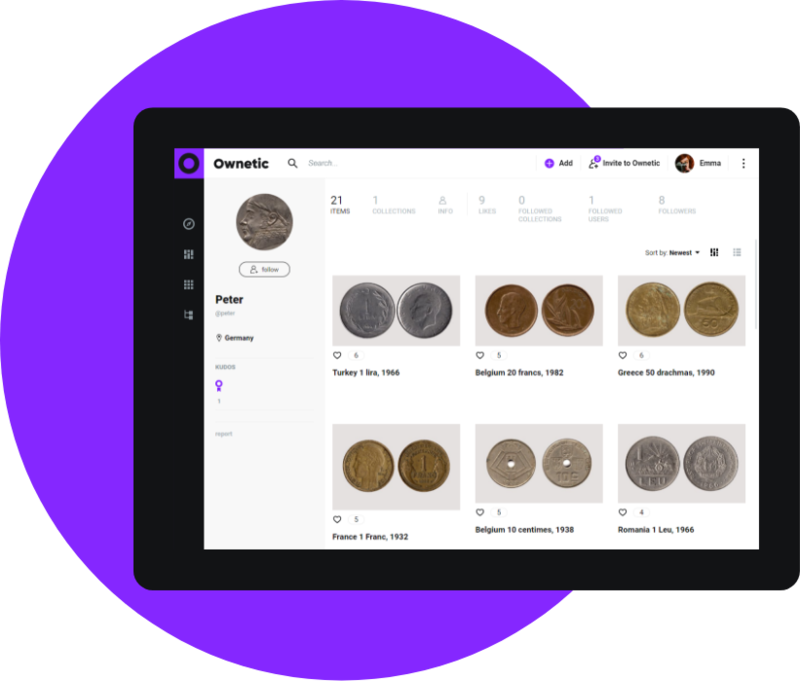 Digitize and catalog your coins and banknotes. Present your collectibles using high-resolution images. Fill in tailored parameters to build a complete database of your objects. Get your coins and banknotes organized and under control in one secure place. 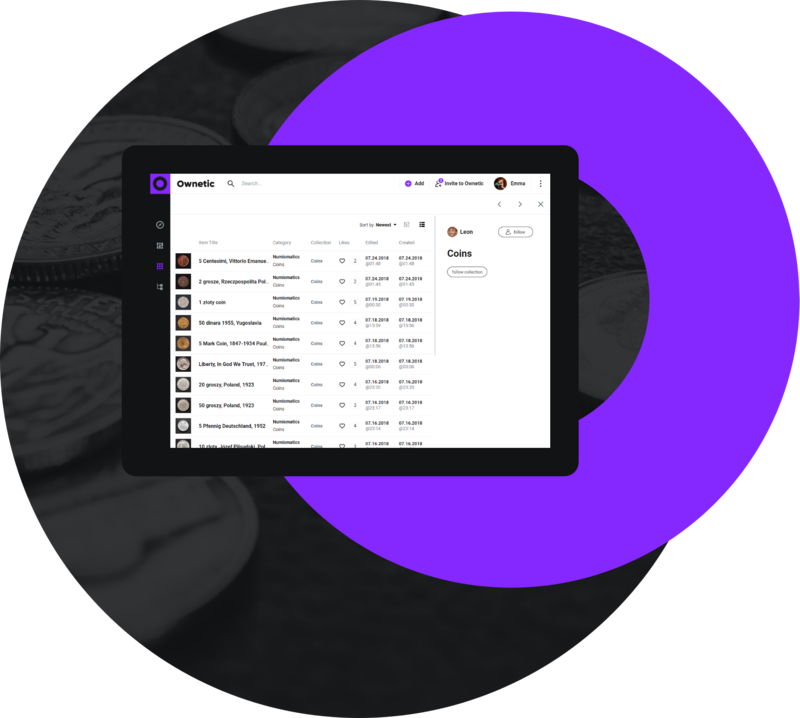 Use public/private features to manage your items’ visibility. 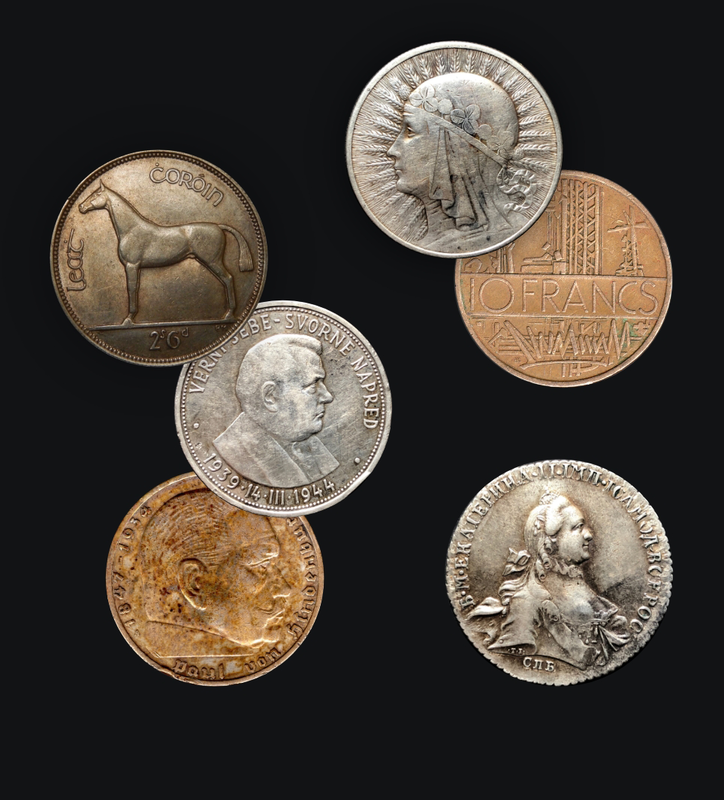 Discover amazing collections of coins and banknotes shared by other members. Follow inspiring people, learn from passionate experts and share your expert knowledge. Be featured among the most outstanding objects shared on Ownetic and obtain extra recognition. 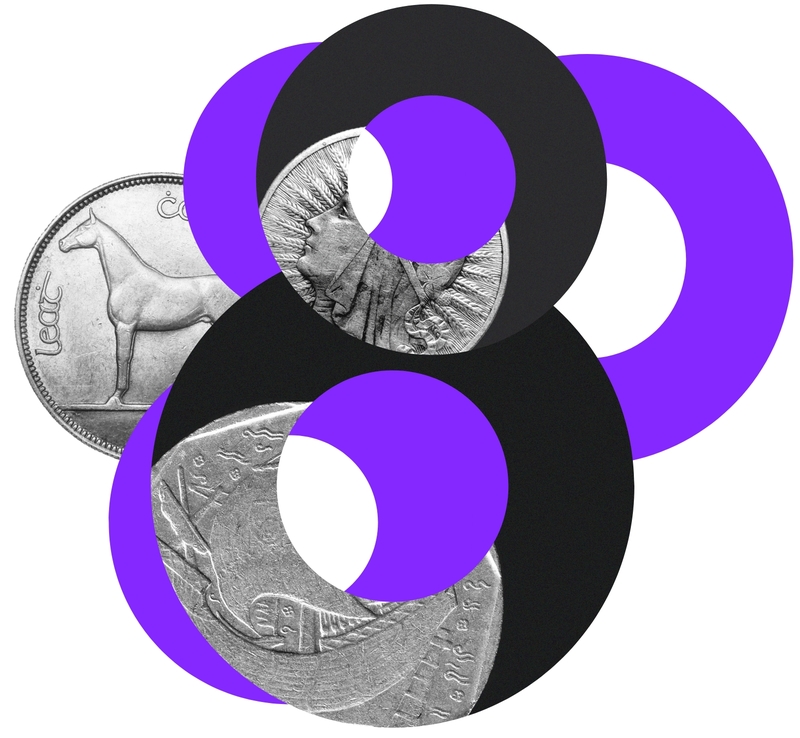 Share your passion for coin collecting with others. Follow other collectors and meet people of similar interests.